Thank you for having me here, Delilah. When I hear a someone say they don’t like romance novels I stare at them as if they’ve told me they’ve committed a horrendous crime in which case they kind of have, because a life without romance novels is criminal. I love characters that sparkle and stories that leave you thinking about them for weeks to come. I’m a huge fan of the genre (if you hadn’t guessed already 🙂 ). Romance novels have a way of pulling you in, holding you tight and never letting go. I’ve always loved writing stories but I never had the discipline or patience to commit myself to a story for longer than ten minutes. It wasn’t until I became a romance novel addict that these incredible stories and writers inspired me to write a novel. I used to write short horror stories but since becoming a romance addict there was nothing else for me to write but romance. When my novel Scarlet Kisses was just an idea in a notebook it was originally going to be a story about three sisters finding love but the moment I wrote the scene where Robert (the hero) is with his three best friends I fell in love with every man present and knew I had to write their stories and find them a woman to love. In the first novel of my passions unveiled series my heroine Alyssum is discovering love and passion for the first time and Robert is discovering his one time childhood friend is a woman grown and whose he’s finding very attractive. Each day I wrote this novel the characters dragged me where they wanted to go and it was nothing but an adventure. I wrote it in three great months and finished that last sentence with a smile. Alyssum Rosewood has just come to a shocking realization. Her life is boring. Visions of spinsterhood dancing in her head, she dons a dramatic red gown and sneaks out to attend Lady Brook’s infamous masquerade ball, where a gentleman sweeps her into his arms and steals a kiss that reveals a passion she never dreamed existed. 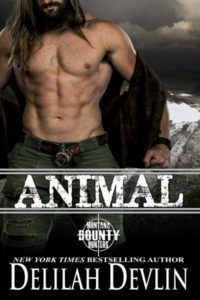 But then she learns his identity—the reckless and improper Viscount Lambert, her overprotective brother’s best friend. Robert Lambert finds the lady in red captivating. Her kiss quickens his heart and her innocent yet wicked touch sets his body on fire. But she slips from his grasp and flees before he can remove her mask. Come hell or high scandal, he will find his fiery little temptress. Warning: This book contains a hidden love, a possessive brother, scoundrels and fistfights. A scarlet gown, ladies sneaking into taverns and a heroine who has just been awakened into the world of pleasure. “You took too long to leave. Now we have another dilemma.” His smile was gone. “What, speaking to me? That is what we’re doing, isn’t it?” He took a step towards her and she took a step back. They slowly moved farther into the gazebo. “You’re standing too close to me,” Alyssum whispered. “This isn’t close,” he spoke quietly while his eyes bore into hers. “This is.” He took a quick step towards her which made her jump backwards. Her back pressed into the frame of the gazebo and Robert pressed into her front. She gasped, unable to control her reaction to feeling him again. She slowly lifted her gaze back to his. “What are you doing?” she asked breathlessly. Scarlet Kisses is available in ebook and now paperback. 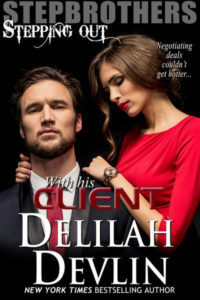 I love to hear from readers at tishbook@hotmail.com or visit my blog at www.romanceonfire.blogspot.com. This entry was posted on Thursday, May 16th, 2013 at 7:24 am in General. Tagged: Guest Blogger. You can feed this entry. Both comments and pings are currently closed. 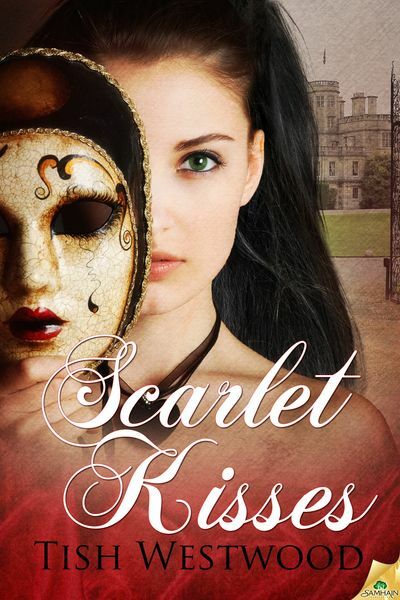 Congratulations on the publication of Scarlet Kisses! It sounds wonderful. Love the cover. Thanks for sharing. Thanks you guys. Glad you enjoyed it.